River Bugs are the latest things to hit the UK shores from the adventure islands called New Zealand. River Bugging is a unique way of heading down white water, it’s a bit like an extreme version of a Lilo but instead of chilling out on the sea you’re heading down drops, past rocks in fast flowing water. You steer the bugs using your hands and feet, you’ll have flippers on you’re feet and webbed cloves on you’re hands. The River Bug has been put through its paces in NZ and now these things, that look like hi-tech blow up armchairs, are here in the UK to stay. A great way to play on the river if you want that little bit more excitement. River Bugs are ideal for summer river levels so you don’t have to wait for the rain and the big water to gain the thrills of the outdoors!! 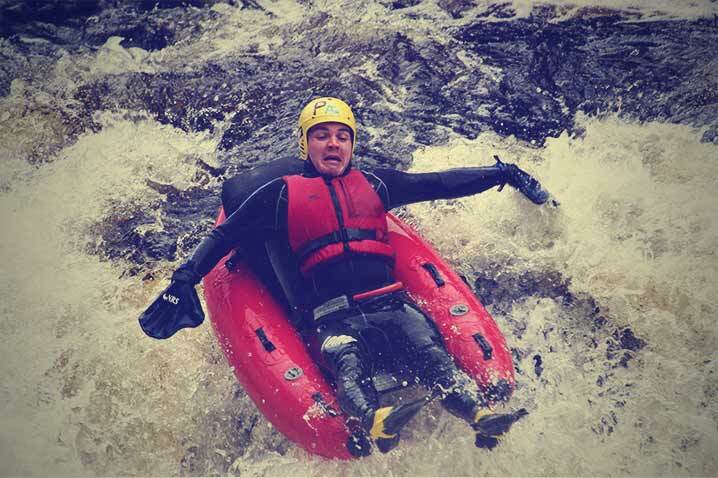 After receiving expert instruction from some of the most experienced Bug exponents in the world, what could be more fun than negotiating your own path down the rapids.